Newsletters - FL Studio 9 - RELEASED! 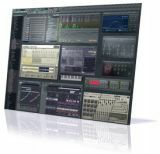 The newest version of the popular audio production suite FL STUDIO is now RELEASED! FL Studio 9 includes 30 software instruments, more than 370 additions, changes and bug fixes, Lifetime free updates and more added value then ever! The new version can record up to 99 simultaneous tracks of audio through the updated 104 channel mixer. Five extra synthesizers are now included by default. Find out more about what's new here. Jonas Erik Altberg, better known by the pseudonym Basshunter, is a Swedish producer, singer-songwriter, and DJ who became one of the newest members of FL Studio Power Users group. “A friend of mine showed me FruityLoops when I visited his place for a LAN party, and I got hooked right away. I’m mainly a PC user so FruityLoops was the perfect music program for me to use”, shares the popular Swedish musician. 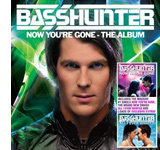 Learn more about Basshunter's FL experience. Deckadance – Bundled With DJ Mouse! Deckadance DJ Mixing software is now available with the new product of DJ Tech named “DJ Mouse”. The new gadget allows the DJs to perform without the need for a turntable or vinyl - after all, the device comes with its own jog wheel that functions as a 'scratch' controller. Image Line Software is proud to announce its physicaly modelled string instrument plug-in Sakura. Sakura can reproduce the delicate pluck of a single string, a violin bowing or the sonorous resonance of a grand piano. Most importantly, the curious musician can take control of every aspect of the simulation to create fantastic instruments. Find out more about Sakura here.